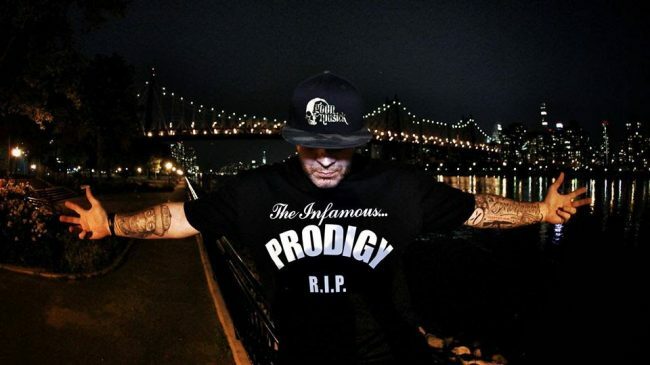 To honor Prodigy of Mobb Deep, the Snowgoons in cooperation with OBC, made this design and on popular demand they got an official go to print some limited units up. The whole profit will go straight to Prodigys family and they decide if it goes to a Sickle Cells Foundation or any other way. Once again we will not make a single $. R.I.P. to one of the greatest, QB legend Prodigy! Shirts are available in black and grey, size M-3XL for 24 Euros.